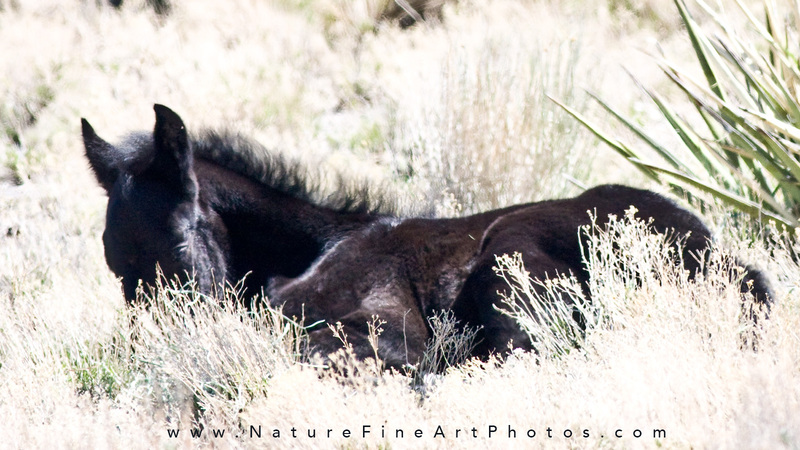 We took a trip to Cold creek Canyon in Nevada to see the wild horses. We didn’t have to look very hard, as we drove down the road within the proximity of the horses, there stood a little chocolate bay Mustang in the middle of the road. We drove up next to him and he put his nose inside the car and was trying to bite the steering wheel. We pulled the car over and gave him some love. My wife found his special itchy place just above his withers and scratched him until her nails were filled with black. His coat looked clean and oily but it makes sense the wild horses never take baths unless they roll in a water hole or get rained on. Wild horses have been protected all these years thanks to the many people who have fought to save them from slaughter and inhumane practices. One special lady to give thanks to is “Wild Horse Annie” Velma Johnston (1912-1977) in Nevada. The 1959 Wild Horse Annie Act was named after her. She campaigned to protect the free roaming horses. 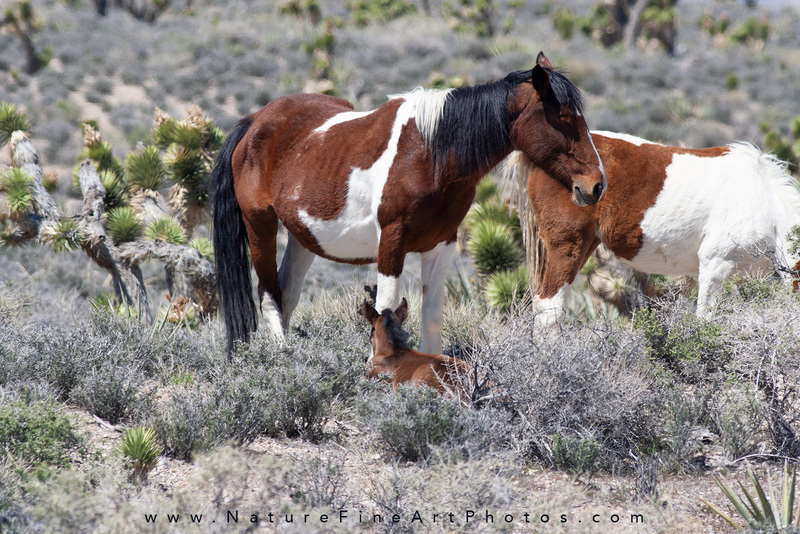 Wild horses can be found in many areas across the country such as Nevada, with nearly 50% of the wild horses in the United States. 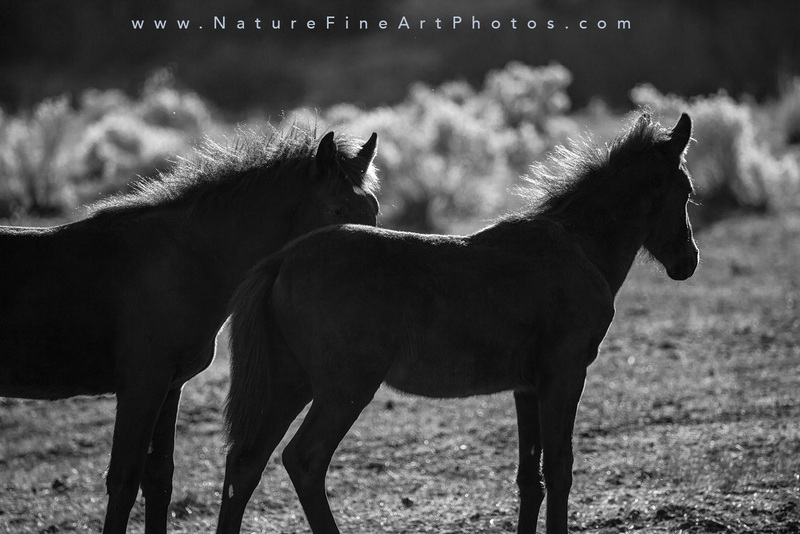 Pryor Mountains in Montana and Wyoming have nearly 150 wild horses near Bighorn Canyon roaming on 38,000 acres. 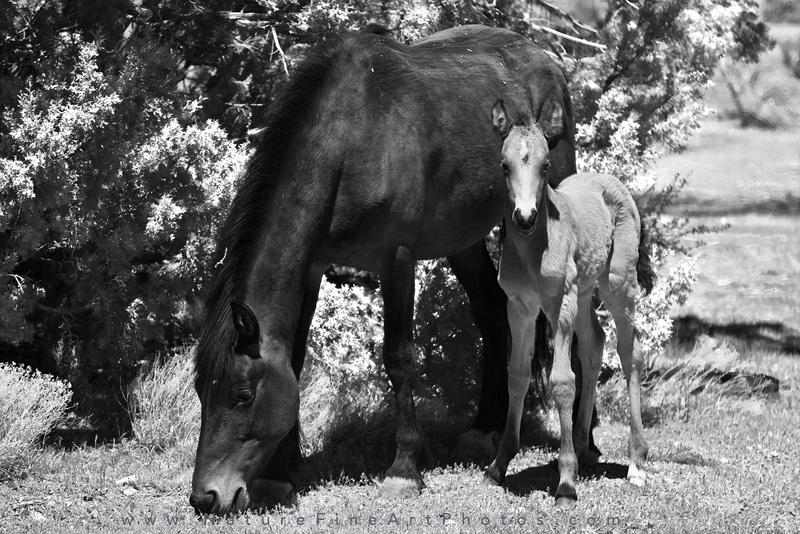 The “Wild free-roaming horses and burros act” gave additional acreage as protected public range for horses and burros. In 1968 Stewart Udall, Interior Secretary of State gave 31,000 acres as protected public range for horses. Little Book Cliffs Wild Horse Area, Colorado offers 36,000 acres of plateaus and canyons to up to 150 Mustang horses. The horses can be seen by biking, horseback riding, or hiking. Oatman, Arizona is a Old Mining town in 1915 which is home to numerous friendly donkeys roaming the towns. Once the mines dried up the miners moved on and set the donkeys free to roam in the local hills. The donkeys can be seen in the local town greeting passersby. Wind River Horse Sanctuary in Lander Wyoming is the only horse sanctuary on Native American Reservation. BLM is in partnership with the Oldman family managing 130 Mustangs. 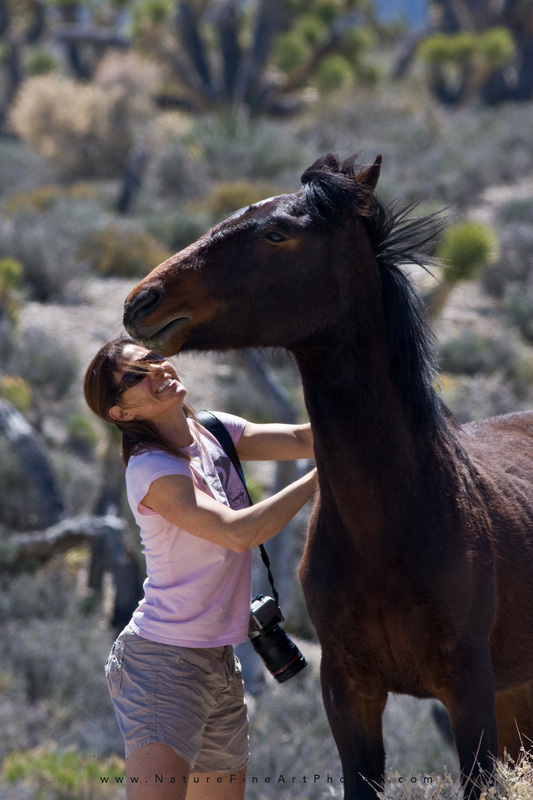 They offer ATV tours to see the wild Mustangs. Pilot Butte Wild Horses in Sweetwater County Wyoming is home to 1,500 Mustangs. Self-guided tours are available on the Pilot Butte Scenic Horse Loop covering 24 miles of wild horse rugged landscape in 90 minutes. McCullough Peaks Wild Horses located east of Cody Wyoming. McCullough Peaks contains 110,000 acres of land. 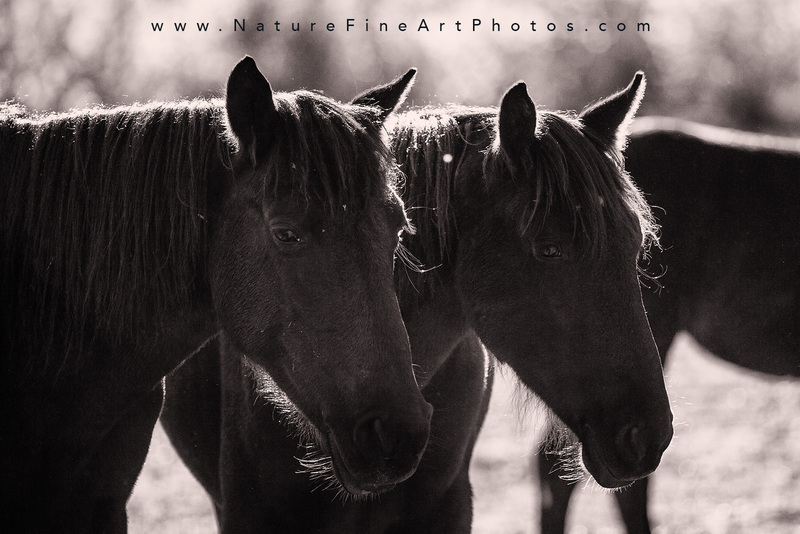 The Mustangs have been said to be possible descendants of Wild Bills Horses from the “Wild West” show. Assateague Island – Virginia and Maryland – is separated into 2 herds, Maryland horses and the Virginia horses. 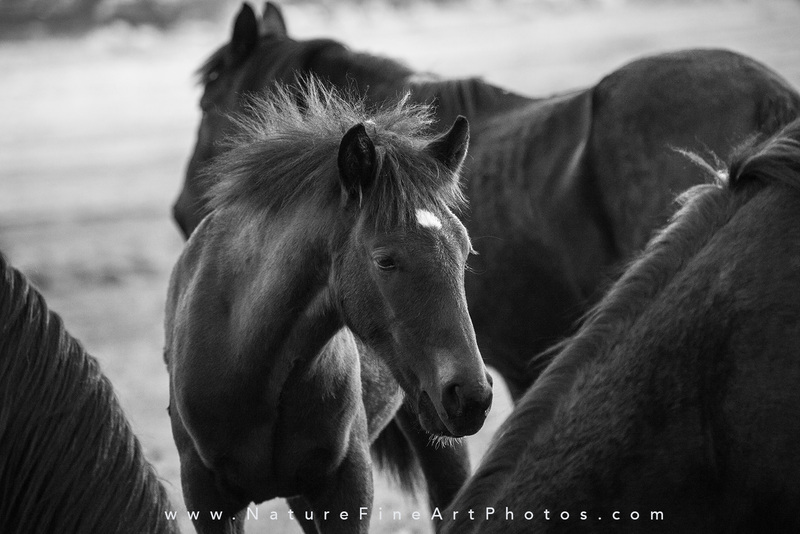 The Maryland horses roam Assateague Island and the Virginia horses roam the Chincoteague National Wildlife Refuge. To keep the healthy ecosystem and keep the population down the horses are auctioned off yearly. Sable Island, Nova Scotia, Canada known for its dangerous shores is also home to wild horses that roam the sandy shoreline. Sable Island is only accessible from boat or plane. Sable Island is home to hundreds of wild horses that roam along the sandy shoreline. Outer Banks North Carolina has a small number of wild horses. Due to a large amount of beach goers the wild horses have diminished in size.